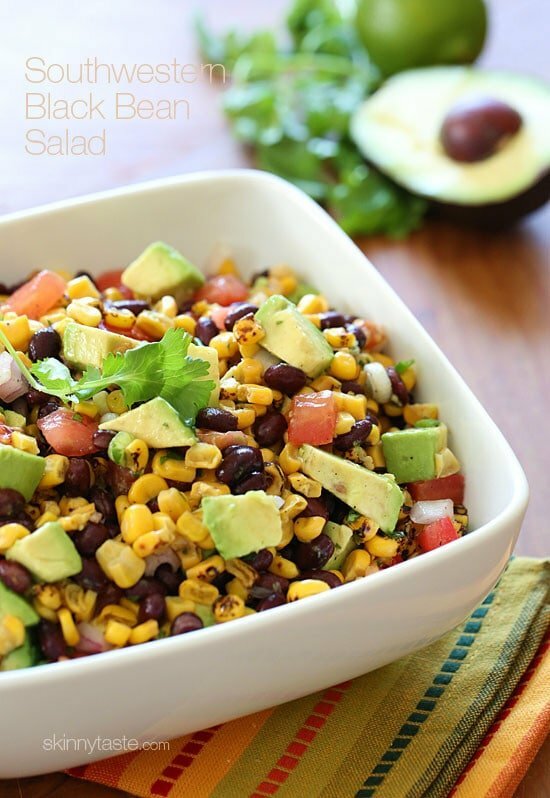 I love making this colorful black bean salad when the weather warms, it makes enough to feed a crowd and makes a great side dish or appetizer if served with chips. 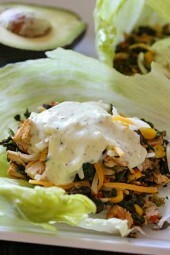 It’s also great as a topping for taco salads or served with grilled meat and fresh tortillas. My husband and I love this salad! So fresh tasty and healthy! Thanks! I’ve been making a batch of this pretty much every week as part of my meal prep ever since it first appeared on the site. My favorite way to eat it is with some jasmine rice and pan seared sea scallops. Made this tonight (10/11/18) served on the side with some rotisseried chicken. Was a grate hit! will do again! 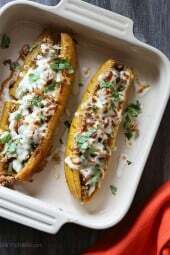 I find these recipes linked to a Facebook video and save it to Pintrest to make it easy to find. When I go back to the webpage to do the recipe I can’t find the video. What’s the deal? Love this salad! Added a sprinkle of cumin….YUM!!! You can substitute a can of diced tomatoes with green chilies for the tomatoe and jalapeño (during winter when tomatoes aren’t fresh) … one of my favorite fresh recipes! I never comment on these things, but I’ve made this recipe so many times, I think it’s time. This is so easy (my favorite thing) and so good. I’ve started mixing it with quinoa – adds a few points, obviously, but bulks it up so I feel fine calling it a meal. So good! I made this today for myself and my wife and since we are fans of spicy food, I added serrano peppers and fajita’d chicken breasts. It was delicious. Thanks! ?? Im already making it for the second time this week. Absolutely loved it! I used corn fresh off the cob, uncooked. Didn’t have cilantro on hand but still amazing. Gina my friend turned me on to your site and it has become one of my top go-to sites for quality, tasty recipes. Thank you! Loved it! The cilantro and lime gives the salad a bright taste. I love that it can be used in different ways. We used it to top chicken tacoes. I scraped out the very last bean – shop good! I made this tonight with the Grilled Cumin Spiced Pork Tenderloin. So yummy! The whole family loved it! One of our favourites. I also add a 1 tsp of cumin. Great summer dish that goes with so many things!! gotta say – this was a great salad! To go with the salad I made a dressing with olive oil, lemon juice, garlic powder, black pepper and ate it with quinoa! extremely satisfying! This tastes soooo good! I make a batch and use some with tortilla chips and use leftovers on salads throughout the week. The longer you let the flavors marinate the better it gets! can you freeeze this and thaw it? After I made this, my husband asked that I immediately write down the recipe and make this frequently! This will become a new family lunchbox favorite. I have everything but limes… what can I substitute that with. I have 3 different types of vinegar. White, balsamic, and rice vinegar. Hello! I’m new to your site, and NOT a natural cook by any means. I wanted to make something like this for me and my daughter for lunch, but I’d have to make it the night before. Aside from the avocado, do you think would this hold up well over night and then during the morning (out of the fridge) until lunchtime? Thank you for all these great, and not overly complicated recipes! Made this salad this past weekend and it was a huge hit with both my husband and I. Have already told friends about it. 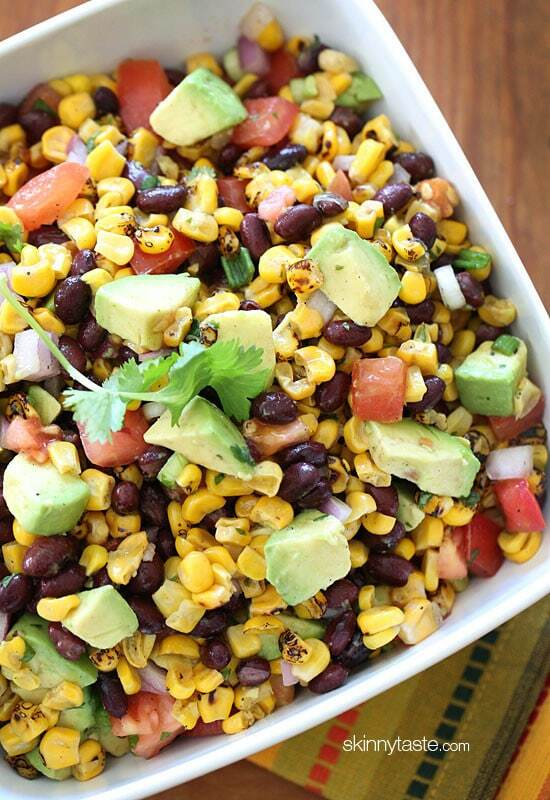 This is a great topping for tacos, fajitas, and burrito bowls! I also love it by itself or as a dip! So tasty and refreshing! A great low WW point side dish under the new freestyle program. Can you use can or frozen corn? Hi Isabel – I used frozen corn and it was delicious. Any guess on how many average ears of corn to use if using fresh? I make this for every BBQ I go to, I serve it with chips as a salsa. 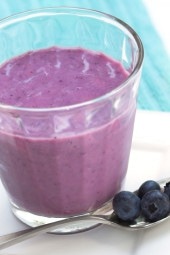 Everyone loves it and so many have asked for the recipe. This is really easy and really good. We will be having it all summer! Can this recipe once seperated into containers be frozen? Made this morning, and measured to double check, doesn’t come close to 6 1/2 cups. Came out to about 7-8 1/2 cup servings, So I re created it in my weight watchers app, and it comes to 4 points per serving. I don’t know how it could possibly be 4 points per serving when the only thing that isn’t zero points is the avocado. Even at 7 servings, that’s still only 1 point per serving. I do something similar as the filling for my enchiladas, which I just tried your enchilada sauce and it came out perfectly. Wonderful Vegan recipe alternative. We love texmex ANYthing and this was one of the best recipes I think I’ve ever found and soooo fresh!! I had just cooked some corn on the grill with some flank steak last night and was going to put it on a bed of lettuce with some of the leftover flank steak but we decided ‘not’ on the lettuce and then just had it with the steak. I had some Multi-Grain tortilla chips that were so lightly salted that they were bland and they were soooo good with it as ‘pushers’, sort of in place of a bread. I’ll make this again!! I think I”ll make it when we have a family gathering and chop everything very small and just serve as a dip. A cowboy caviar type dip. Giving this an A+ for taste AND loved that it had so many fresh ingredients. Tomatoes are in season here in South Carolina. It was good! I had to change a few things since one of the people I was feeding can’t eat spicy food and doesn’t like cilantro. I left out the jalapeño and used parsley instead. It was still good. So how much does a medium avocado weigh before it’s pealed and pitted? Not sure, that can vary. Thanks for posting nutritional values,I didn’t like Smart points so I have stayed on Points Plus so,it helps me calculate PP. Can you freeze if you have leftovers? No, freezing would break down all the components. It’s only good fresh. I just ordered a grill and as soon as it comes this will be one of the first things I’ll make since I can grill the corn easier now! I’m planning on leaving out the onion, avocado and tomato and adding in a diced bell pepper, garbanzo beans and maybe an extra jalapeno since my boyfriend and I both like spicy foods! Can’t wait to bring this to work for lunches! I’ve been making this salad for years, and years now. It’s one of mine and my husband’s fav’s! I also have a recipe for what I call bean salad, mainly because it’s got several different types of beans in it, and it’s another fav of my family! Thanks for sharing this with everyone else so they can enjoy it also! I made this as a side to go with chicken tacos. it was amazing! Thank you! Made this for our Super Bowl taco bar. Delicious and so easy. I’ll make this again soon!